← Houzz do you begin? It was humorous to me, recently traveling our back roads I have been thrilled to see many of our native weeds coming into their own. This tapestry of unkept vegetation is much more interesting than the close scalped mown turf that is the goal of this labor intensive process. One of my favorite undesirables is Ironweed ( Vernonia noveboracensis) , blooming in the Fall from August to October with reddish-purple blooms. It is found in moist ditch areas with profuse blooms bringing the fluttering of migrating butterflies with it. These “weeds” can be used in the home garden setting and may be the answer to some of the moist /wet problem areas you might have. 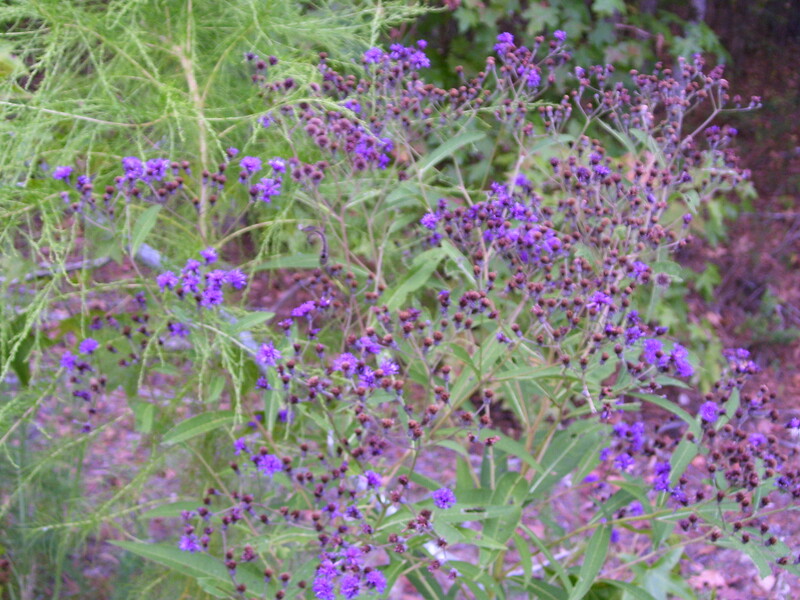 They are best used as backdrop perennial planting as they can reach three to six feet in height. English gardeners have used them since the 1700’s which to many plant snobs, I mean authorities, should make them socially acceptable even thought they are just a common ditch weed. Maybe Ironweed doesn’t fit into your design theme or vision but we need to reconsider the endless maintenance of our roadside wastelands and just let them be a treasure trove of Fall color for us all. This entry was posted in Design, Plantings. Bookmark the permalink.